As you might know from my latest beauty haul I got some new products I really couldn't wait to try and write a review about. I'll start off with the Garnier deep conditioner because it made me see gorgeous results immediately. However before I start off I want to talk a bit about the availability of this product because I know that you guys come from many different countries and so I made a little research for you. First of all it seems like unfortunately this deep conditioner isn't available in the US, Germany, the Netherlands or the UK. Therefor you can buy it in France, Italy and Luxembourg. For all other countries check Garnier.com! 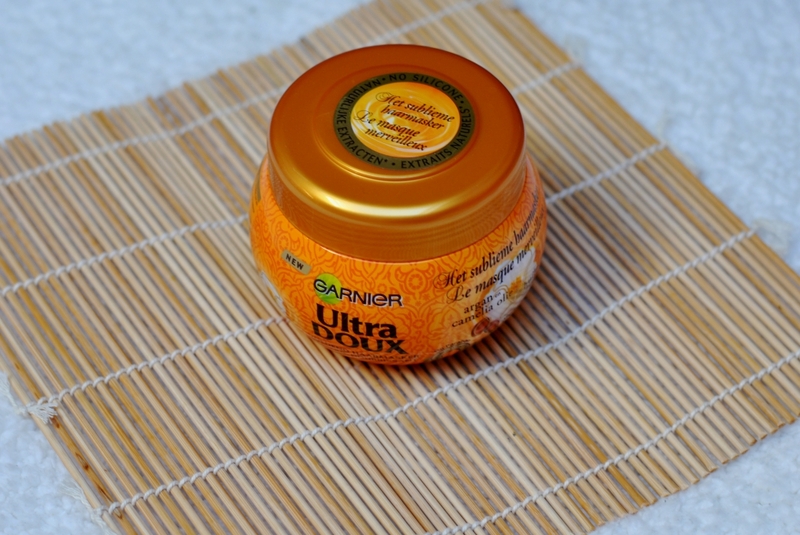 I already got to know Garniers Ultra Doux range at a really young age when my mum always bought their children's shampoos for us because they're supposed not to prick when you get them in your eyes. Since that time I somehow always trusted that brand and kept using the Ultra Doux shampoos as a teenager. (They have a gorgeous shampoo for brown hair which refreshes the hair color perfectly!). So when I went to a supermarket in Luxembourg some weeks ago the brand caught my eyes again and the pretty packaging of this deep conditioner magically attracted me. In fact they had me at argan oil but then it also said "no paraben" and then when I was about to put it in my caddy I also noticed the "no silicone" label. I was in hair care heaven! 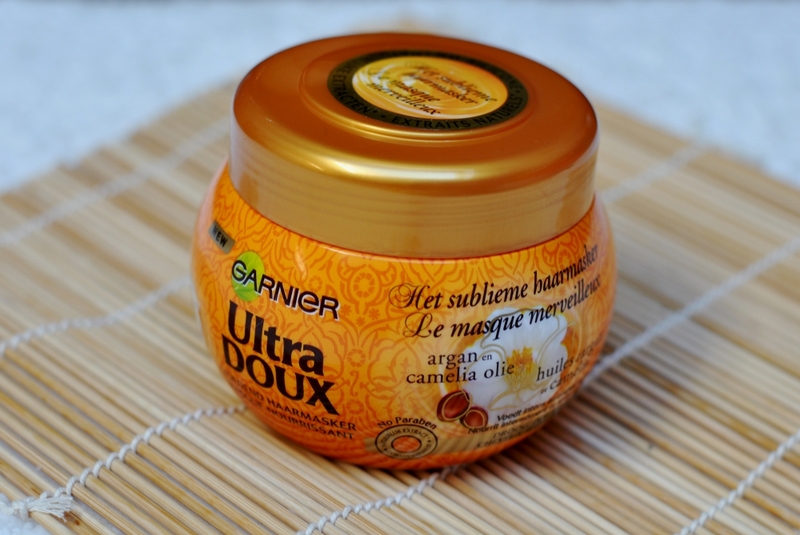 Garnier Ultra Doux nourishing hair mask "Le Masque Merveilleux"
The first thing I noticed when using this deep conditioner was the amazing smell! Don't think I'm crazy but the smell keeps reminding me of my local Zara Home store... Am I loopy or do they sell air fresheners with the same scent? Anyway the deep conditioner was really easy to apply and I didn't need as much product as with other deep conditioners. It says you only need to leave it on for 3 to 5 minutes but I always let my (deep) conditioners soak in as long as possible. No problems when removing it either and I already felt how soft it made my hair. And I had promised you visible results! Well whenever I let my hair air dry it protrudes in all directions so the straighter my hair looks when it's dry the better the deep conditioner. And I can tell you that this one generated better results than all deep conditioners I have been using lately! My hair still felt soft the other day and I can't wait to see if the results get even better after several uses. On the Garnier website I saw that they also sell the matching shampoo and conditioner and even though they don't seem to be silicone free I think I will give them a try as well. In fact there are even more Ultra Doux ranges I want to try and I really don't know why I ever stopped using them! So as you can see I'm delighted and it will be a pleasure to keep on using this deep conditioner. What about you? Have you known the Ultra Doux range before or have you been using a similar deep conditioner or hair mask? Great doll! 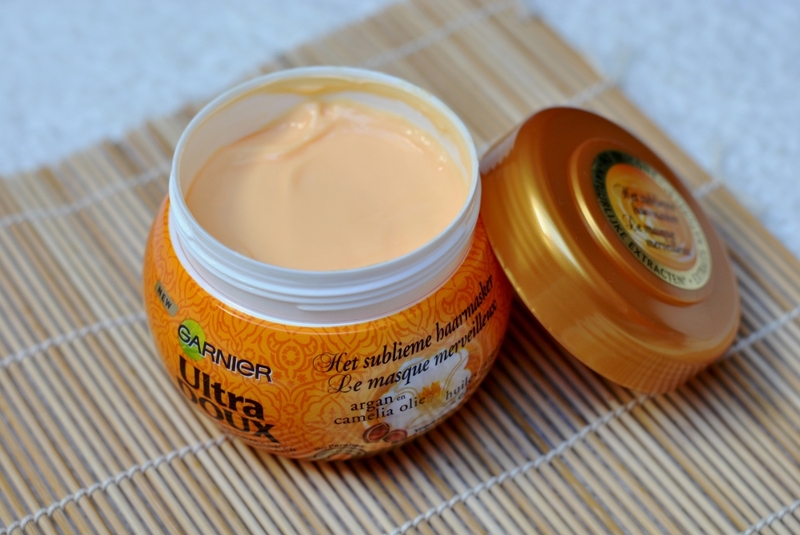 Im loving the garnier hair cream! I can't live without hair masques because I have coloured my hair quite a bit and this one sounds quite moisturizing, such a pity its not available here. Thanks for your insightful comments doll! Hi carmen, i saw this product but i've never tried..i think it's very good..
super tolle und informative Präsentation! 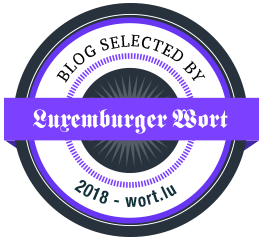 ich war schon lange auf der suche nach einem sollchen Produkt. sin meine haare so kaputt und vor 2-3 Monaten habe ich mich trauriger weise dafür entschieden, sie kurz abzuschneiden. It sounds absolutely heavenly Carmen! The scent. It made your hair softer. What's not to love!?! I wish they sold it here. I don't think this product is available here in Canada. But your review and packaging looks like this is a fabulous product. Looks good, never saw this product in Austria! Thanks for sharing!